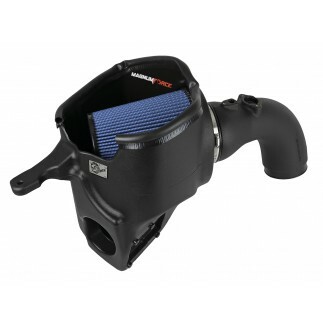 Increased exhaust flow means improved torque, horsepower and lower EGT's. That's why your Cummins diesel needs the SATURN 4S turbo-back exhaust system by aFe POWER. This exhaust is built from 5" mandrel-bent 409 stainless steel tubing and includes a muffler-delete pipe for optimum flow and a race-inspired, aggressive sound. This system does not include a tip. SATURN 4S exhaust systems are the perfect combination of performance, fit and value. A muffler delete-pipe is used for a true race-inspired sound and maximum flow unleashing all available torque and horsepower from your rig. Constructed of 5" mandrel-bent 409 stainless steel tubing for longevity, the smooth transition bends result in increased exhaust flow and lower EGT's for improved throttle response and overall sound and performance.